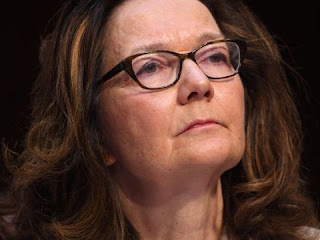 The American Senate confirmed the former agent's designation as directress of CIA, in spite of the enormous polemic that rotates around her name due to the tortures made to suspects of terrorism after the events of September 11. Anyway, she has become the first woman in all history to lead the American intelligence agency. In spite of the torrent of critics that she has received for her relation with tortures inflicted to suspects of terrorism after 11-S, Gina Haspel is the new directress of the CIA. The news was confirmed recently by the United States Senate. The Committee of Intelligence of the North American Congress recommended her with ten votes in favor and five against. In the High Camera, where the Republicans control 51 of the 100 votes, the woman nominated by Donald Trump has achieved 54 votes in favor and 45 against, which includes the support of six democrats and the rejection of two republicans. This was how Haspel, who worked for more than three decades as an undercover agent, became the first female to ever run the CIA. The voting was carried out after an audience in which Haspel was severely questioned by the democratic legislators, about her role as a suervisor of the first CIA's secret jail in Thailand. In that place, a lot of brutal interrogations were made, including tortures with drowning, among other techniques. The former agent emhasized that she had not carried out anything illegal in that place and, as directress of CIA, she would not do any action considered immoral, even if is something requested by president Donald Trum himself. In addition, the lady pointed out that – after several years of experience- CIA must not dedicate to interrogate and she said that the acts she supervised back then weren’t immoral. The American leader, after the critics, came out in defense of his nominated and published in his Twitter account that Gina is a respected candidate to the CIA’s direction, which has been attacked for being too hard with the terrorists. Trump added that in these dangerous times the candidate is the most qualified person to occupy that position and the Democrats want her to leave because she was hard against the terror.